The grounding of Tiger Airways’ Australian operations looks set to continue another week due to problems with documentation the airline supplied to CASA. Those issues with documentation saw the federal court hearing into extending Tiger’s grounding delayed yet again, from August 5 to August 11. “Tiger Airways Australia continues to work constructively with CASA and the two parties are in ongoing discussions to resolve the issues,” the airline said in a statement. 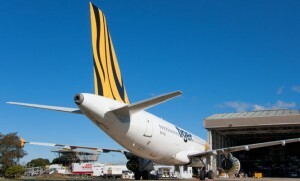 “There is no information available yet as to when Tiger Airways Australia may resume services, but the airline is committed to doing so as soon as possible.